One would think that things that go bump in the night would deter individuals from setting up residence. However, a recent survey by Realtor.com proved that the opposite is true. Of those interviewed, one-third said that they would consider buying a haunted house while just 35 percent said that they were against the idea entirely. However, of those willing homebuyers, 29 percent felt that a discount of at least 20 percent was reasonable to ask for with a property having suspected paranormal activity. 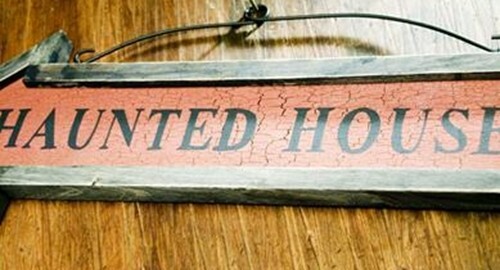 Especially around Halloween, though, extra house guests are not deterrents. Specifically, 62 percent revealed that warm or cold spots in the home would not scare them away from the perfect home, while 48 percent said strange noises – footsteps, doors slamming – are not an issue. While the worst drought in nearly 50 years has ravaged the nation's Corn Belt, farm prices have continued to rise, according to The New York Times. Corn crops have dropped to their lowest levels in 17 years, but nonetheless, farmers are seeking more land and investors want something more stable than stocks and bonds. Either way, those looking to purchase more land would benefit from an amortization schedule for loans to ensure that their monthly payments remain timely and are designed in increments that can be easily met. The Federal Reserve Bank of Chicago conducted a survey in August that showed that there was a 15 percent increase in farmland prices since last year across a region that covers Iowa, Illinois, Indiana, Wisconsin and Michigan. "Any time you have an asset that doubles in value over a decade, there is cause for concern about how sustainable that growth is," Richard Brown, chief economist at the Federal Deposit Insurance Corporation, told The Times. Even in seemingly more stable investments, like farmland, lenders would be wise to invest in loan management software to ensure that borrowers will be given a payment schedule that is ideal to their monetary needs.